Be Certified in Using the Emergenetics Profile - Be an expert. Create impact. Gain team insights. Improve collaboration in teams. Build a positive and productive culture. Get your people levelled up to meet current and future organisational goals. If you are looking for a sustainable approach to building effective teams and to sustain positive results, the Emergenetics Profile Certification is what you need to get you started. The Emergenetics Profile Certification programme is a 3-day train-the-trainer course, which provides you with an in-depth knowledge of the Emergenetics Profile. 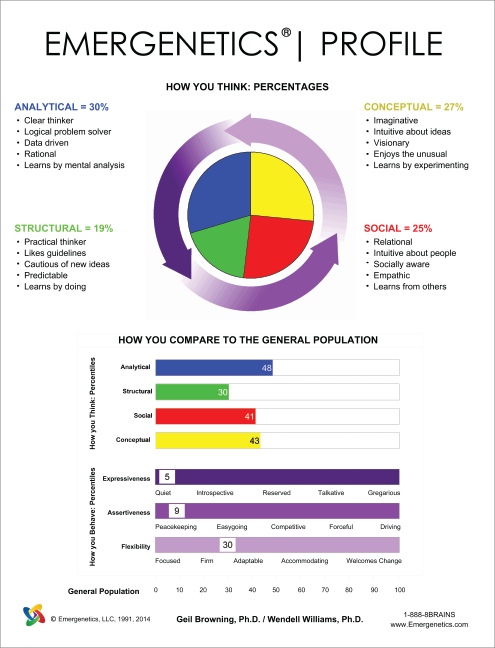 The Emergenetics Profile reveals the way an individual prefers to think and behave, and how he or she compares to the world-at-large. It serves as a foundation to help individuals learn and build strategies that help them relate and collaborate better with others at work, improve their personal capabilities, and build stronger teams for the organisation. 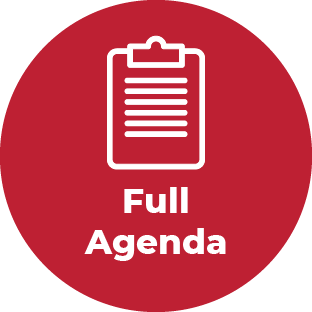 Being certified in the tool will give you the license to use and integrate the Emergenetics Profile to your existing training programmes, and to provide one-on-one sessions to explain the Emergenetics Profile to individuals. You can leverage the knowledge you’ve gained to design strategies for organisational improvements through the Emergenetics lens. a more cohesive environment and greater productivity - all with the capability to sustain momentum over the long-term. The Emergenetics Profile allows individuals to understand themselves and how they relate to others better. Why choose the Emergenetics Profile for my organisation? The Emergenetics Profile is not just a tool. It promotes and enhances collaboration in a positive manner by providing individuals with a neutral way of communicating and understanding others. Training programmes based on the Emergenetics Profile have proven to promote and leverage cognitive diversity, encourage effective communication, and built leadership in every individual. The tool encourages individuals to embrace differences yet unleash the power of teamwork. 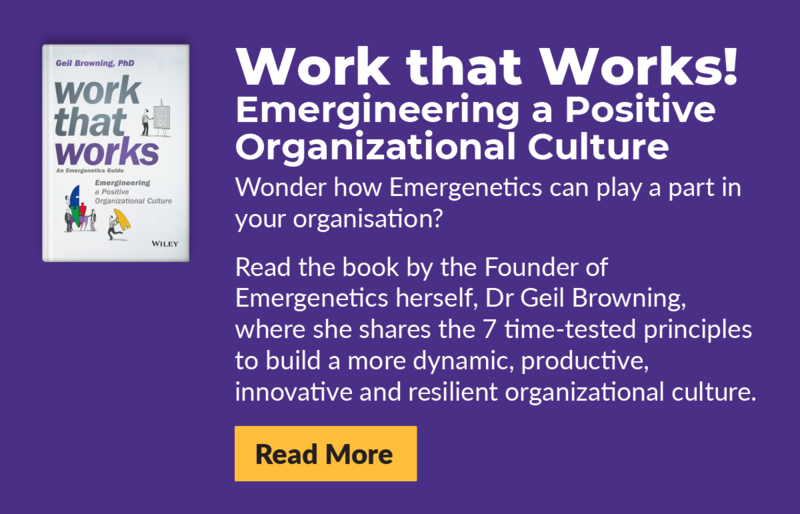 By understanding the Emergenetics Profile and its time-tested principles, you will be able to craft, or emergineer a more positive and productive organisation. 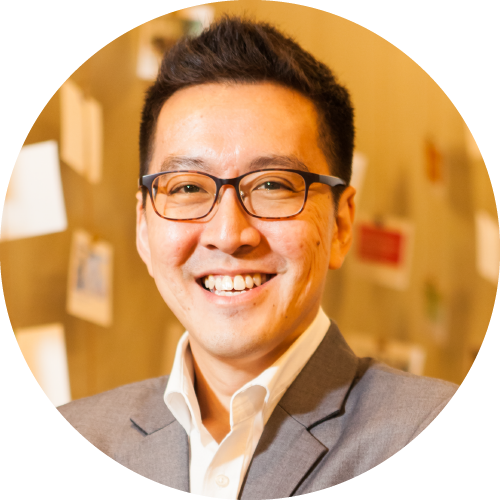 "As a regional training manager, being certified in the Emergenetics Profile enables me to offer new and exciting training programmes to my entire team. It has been really well-received and has strongly impacted team communication and team work positively." With over 200 pages of exercises, ideas and detailed instruction, your Certification Manual is your guide to making your work with the Emergenetics Profile work for your colleagues and clients. The proven methodology and presentation of Emergenetics is already developed and ready for you to implement. It’s the complete package, yet customisable for your specific needs. We give you a large chart on high-quality canvas that highlights the Emergenetics Profile and its seven distinct attributes for you to use in your workshops. 5 free practice Emergenetics Profiles to get you started in your work using the Emergenetics Profile. Marketing and promotional tools to help you communicate what the Emergenetics Profile is all about, and how it can help others in their professional and personal lives. 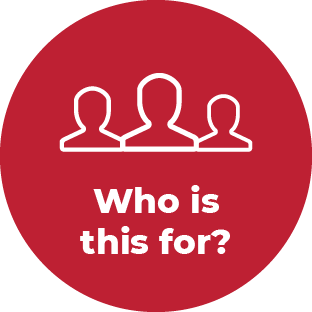 Your own personalised log in for easy access and management of your team profiles and reports. 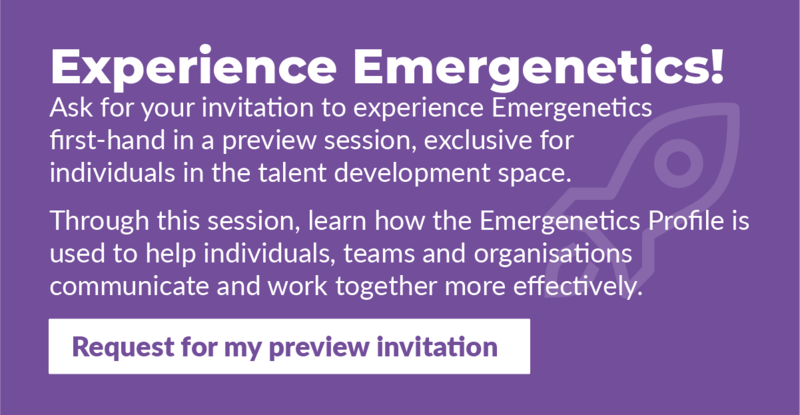 Get plugged into a network of practitioners of the Emergenetics Profile and learn continuously through our Associate-only events that expose you to best practices from other Associates around the world. Keep up to date with the latest developments and products through our annual eLearning Module. These companies have chosen to use the Emergenetics Profile in their organisations, and have sent their L&D and HR staff members to the Emergenetics Profile Certification Programme. This ensures sustainable and direct impact to their organisations, thereby maximising their training dollar investment. Colin is an Emergenetics Master Associate and conducts the Emergenetics Train-the Trainer Certification workshops throughout Asia-Pacific. He also oversees the training, development and growth of our Associates in the region, and is the Deputy CEO of Emergenetics Asia Pacific. As a Certified Emergenetics Associate since 2008, and a Master Associate since 2012, Colin has facilitated over 45 Certification Workshops, both open and customised, in addition to a myriad of Emergenetics-based workshops, seminars and talks for various corporate, government, schools and non-profit organisations. Colin has also used Emergenetics in his other passion – developing the potential of young people. Apart from work, he has been serving his church youth community since 1996 and from 2009, applied Emergenetics to the formation of young people, helping them understand their thinking and behaviour preferences in order for them to excel in an area they would have a natural affinity towards. Colin is a Certified Action Learning Coach with the World Institute of Action Learning and an ATD Master Instructional DesignerTM. He is passionate about helping individuals and teams realise their potential, and recently completed a Graduate Diploma in Applied Positive Psychology to deepen his knowledge in the topics such as resilience, mindfulness, psychotherapy, counselling and coaching. How is the Emergenetics Profile Certification programme conducted? The Emergenetics Profile Certification programme is a 3-day train-the-trainer course which provides you with an in-depth knowledge of the Emergenetics Profile. It is conducted by an Emergenetics Master Associate who is a trained expert in the Emergenetics Profile. 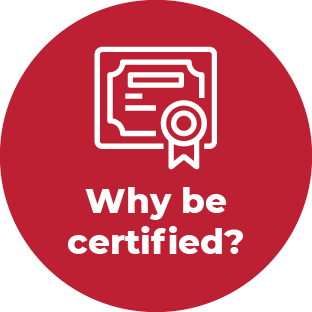 Open-session certification programmes are hosted around the world at various times throughout the year. However, any group that has 5 or more interested participants can host their own custom class at the date and location of their choice. Drop us an email at workshops.sg@emergenetics.com if you are interested to host your own custom Emergenetics Profile Certification class. 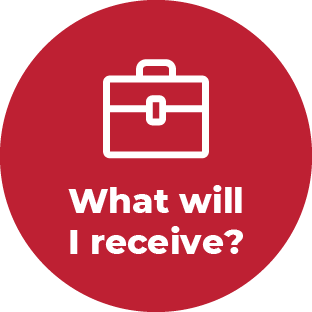 What am I able to do after completing the Certification programme? Following the completion of the Blueprint process, Associates will have access to the Emergenetics Profile and a full suite of group reports. Associates may also use the theories learnt to conduct an Emergenetics Profile workshop as well as one-to-one coaching. What is unique about Emergenetics Profile Certification programme compared to that offered by other organisations? This train-the-trainer session is designed to equip you with the necessary knowledge and skills to develop and implement the Emergenetics Profile in your training programmes.